• In this 3:25 video, learn how to find and purchase a great domain name. Getting a catchy and rememberable domain name that gets listed in the search engines is essential if you want to get noticed online! • With the techniques shown here you won't need to worry if you domain name is already taken! We'll show you how to find out quickly! • You'll discover some powerful tool to help you find a great domain name. • Discover how to create a completely custom domain name that you, and only you, own. • In this 4:56 video, we'll walk you through the step registering a domain name for your own website. • Some hosting companies will sell you more things along the way - do you really need them? Learn which up-sells to purchase and which ones to stay away from. • Find out which features are a must when buying your domain name. • Discover how to save money when purchasing your domain name. • In this 5:20 video, we'll show you a great service that offers cheap hosting and robust services. • Learn how to purchase a hosting account from a reputable provider. • Find out how to pick the plan that best fits your needs and proceed to order. There's so many to choose from nowadays that it can just get all too confusing! • In this 5:00 video, you'll be shown how to connect your new domain name to your web hosting provider and see what it takes to set the proper namservers. • Changing your namservers is an easy process and is often a massive stumbling block for beginners. Don't let this step put you off! • Learn to sync your domain name and your hosting site so your website can now accept traffic. • In this 7:04 video, you'll learn how to navigate your way through cPanel for the first time. • Discover what the cPanel is, why you will almost certainly need to come back to it every time you need to do some sort of maintenance. • Watch us go through the set up wizard so you'll know what to do. The interface is easy to learn and simple to use. • In this 5:20 video, we'll show you how to upload files to your website through the file manager in cPanel. • Without any files uploaded, your website will be nothing but a blank page! • We'll show you how to quickly and easily uploaded with the easy to use cPanel file manager so you'll have the foundations laid out to building your own websites. • In this 3:28 video, we'll show you how to check your websites statistics in cPanel. • See how much traffic you are receiving and where the traffic is coming from. This is great if you're investing time and money into promoting your website and want to know what method of yours is working best! • Check your logs frequently to stay aware of how much traffic your website is getting and which pages are being viewed the most! This is great if to know which page your visitors prefer, or if your site is designed for good navigation! • Following on from the previous video you'll now learn how to upload files using FTP in this 4:56 minute video. • You'll learn how to utilize third-party software to quickly upload files. • You'll discover the best way to uploading multiple files to your hosting account. • You'll learn how to minimize time spent setting up your site and maximize time spent earning money from your website. • If you want to create your own downloadable PDF reports or eBooks then this 7:12 video is essential! • Learn how to create a PDF, what they are, and why you should use them. • Discover why PDF is a versatile file format that can be used by both major operating systems. • Find out how to create a PDF for free without shelling out money for paid software. • Learn the tricks to creating a professional PDF that doesn't look like it's been done by an amateur! • In this 6:14 video, we'll show you how to record on-screen for posting videos to your website. • Most screen capture software is expensive to buy, find out what the free alternative is so you can save a small fortune! • Discover how to host your video for free and embed it into your website so it's always online and independent of your website! • In this 4:05 video, we'll get your acquainted with the simple process of creating a YouTube account. • YouTube offers an enormous amount of exposure to your new website and entitles you to many great features which we'll walk you through..
• We'll show you a quick little trick to getting viewers from YouTube to your website! • In this quick 5:55 video you'll learn how to upload a video to your YouTube account. This can difficult if you're never done it before and can be costly if you're getting fresh viewers but not optimizing your settings! • We'll show you how to include links that direct viewers to your website without getting your video taken down for being classed as spam! • You'll learn the best practicies for writing a description, and adding keywords to attract as many viewers as possible. • In this 6:43 video, we'll show you how Aweber can help you streamline your email response with its auto-responder. • We'll walk you through the steps needed to creating and managing your lists for you auto-responder. • Find out why auto-responders help remove some of the work you would otherwise have to do and increase the quality of your customer service. • See how to add profitable signatures and social networking sites to your lists to further automate your process. • Discover what you need to be checking before you send out broadcast emails so you'll look like an experienced pro! • In this 7:20 video, you will learn how to create web forms to gather information from anyone visiting your website. This is an essential step if you want to gather new leads and get them into your auto-responder account! • Learn how to create web forms within your Aweber account for anyone interested in what you are offering to fill out. • Find out how to fully customize the appearance and content of your form based on your needs and niche. The safer your visitor feels about signing up to you, the higher your conversions, and the more profit you will make in the long term! • Discover why when making a web form, to not over complicate it and why you must keep the amount of info fields to a minimum. • In this 8:29 video, we'll show you how to create a Warrior Special Offer on the Warrior Forums to increase traffic and exposure to your product! This is a powerful technique in itself and you could can be sending not only 100s of visitors to your website every day, but buyers as well! • Find out what you need to do before you can create a WSO and why it's important to already be a forum member with good standing with the community. • See why WSOs can be very successful in helping you sell many, many units of your product. • In this 8:32 video, we'll show you the powerful benefits of using WSO Pro to list and manage all of your WSO listings - don't miss this as is can be make the difference between success and failure with your WSOs! • See why WSO Pro takes the headache out of making money with WSO listings and keeps everything organized and in control for you. • Find out how to manage every detail of your listing with one simple program. We'll walk you through the important features. • See why you need to include as many keywords as you can with your WSO Pro listing as well as an accurate description of what you are offering to achieve the best results! There's just so much to learn and so much we can help you with this Tech Challenge SOS! Finally eliminate all those techie problems that are just slowing you down and adding weight to your shoulders! It's time to kick-start your business. It's time to make money - just like you intended! YES Steve! 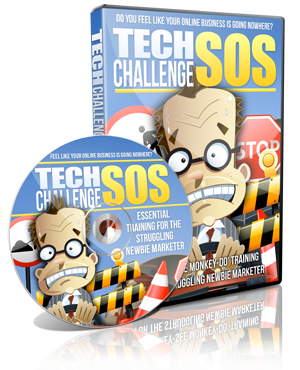 Reserve My Copy Of Tech Challenge SOS Right NOW! YES Steve! Give me instant access to Tech Challenge SOS right now! I want to make a start on my online business or improve on what I've already done and I know that this video course is just what I've been looking for! YES Steve! I understand that this course IS NOT and WILL NOT be available to the masses. I understand that Tech Challenge SOS was created for smart people like me who want to cash in on the online world without everyone having knowing about it! And don't forget... this video course is NOT available offline. 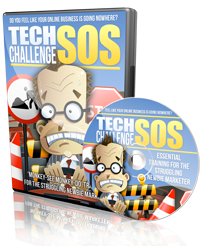 With Tech Challenge SOS you'll finally have the information you've been looking for. And with our discount still on offer, NOW is the best time to jump in on the action! Secure your copy NOW! 2019 Tech Challenge SOS. All Rights Reserved.